A founding member of the AMQG and its first President. Born in Cleveland, Ohio January 31, 1930, she and her husband, Joe, also from Cleveland, and their children moved to Williamsville in 1960. Joe still lives today in the house she first fell in love with. 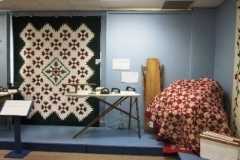 In the early 1970’s Alice and Pauline Krafft taught the very first quilt class held at “Old Amherst Colony Museum”, located at the former Nike base on New Road. She had been asked by Museum Director Andrea Shaw to help Pauline teach that class. However, after Pauline saw Alice’s beautiful quilts, she decreed Alice the teacher. 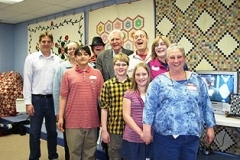 Their first students were so enthralled with quilt making that they encouraged them to hold a second set of classes. After that, Alice said she had taught everything she knew (we don’t believe that was true), so she helped us form the first quilters’ guild, with Alice as president. She taught at the Museum, as well as in the Williamsville Community Education and Maryvale Community Education programs, for many years. Alice had a beautiful, sunny personality that always brought forth only positive, constructive and encouraging comments about her students’ work. She made everyone feel like they were special. She was a mentor to so many of us, and a constant source of knowledge and encouragement. We never heard an unkind word from her. 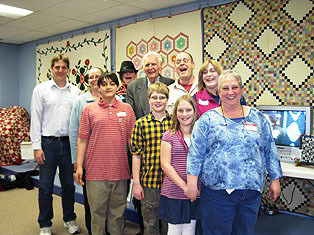 A special accomplishment was her certification as a quilt teacher. 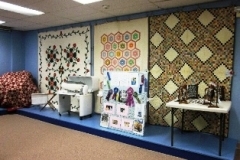 After sending in an application describing her teaching methods, and going to Washington, DC to demonstrate an actual lesson, Alice received professional certification from the National Quilting Association (NQA) in 1981. 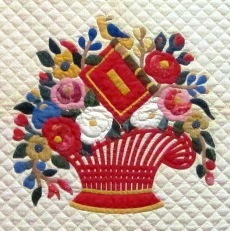 Although Alice was accomplished in every aspect of quilt making, her early love was for appliqué . 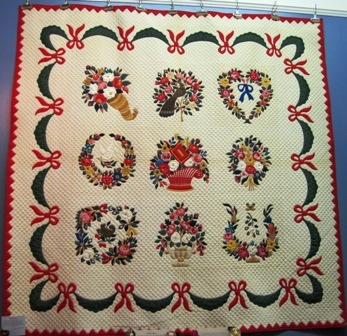 She made a Baltimore Album appliqué quilt during the resurgence of that genre, which was the culmination of her incredible skills in hand appliqué and hand quilting. 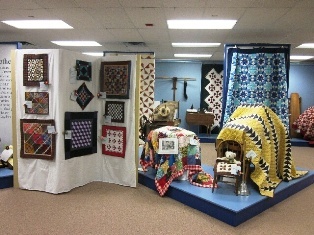 She was extremely proud of that quilt, which was juried into C & T Publishing’s Baltimore Album Revival Quilt Contest in 1998. 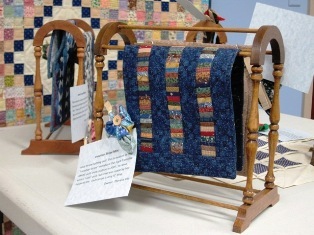 She won several ribbons for that quilt from various quilt shows, as well as ribbons for many of her other quilts. 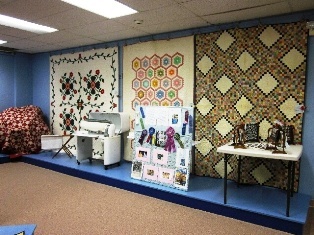 Alice took great pride in hand quilting all of her quilts. We still marvel at her tiny, perfect stitches. 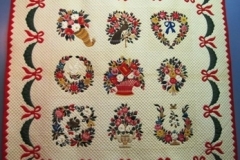 In her later years, Alice became fascinated with miniature quilts. 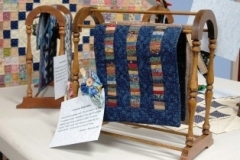 These small quilts, made to look like a full sized quilt but only a foot, sometimes a little larger, in length and width, showcased her piecing skills, and sometimes her appliqué expertise. With miniatures, one is able to make a full sized design in less time, and be able to create many quilts in a shorter period of time. 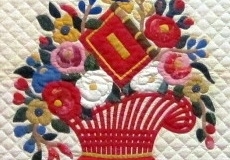 She machine quilted many of these quilts with the same skill she had used in her hand quilting. 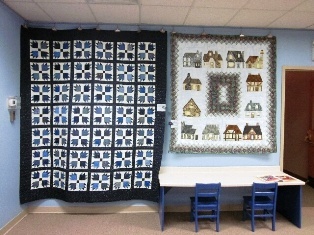 Several of these quilts were donated for our guild’s Miniature Quilt Auctions. Bidding was always very competitive as everyone wanted a special quilt made by Alice. A lasting legacy is “Alice’s Dream”. 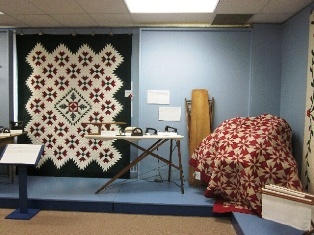 Alice “dreamed” of purchasing quilts that the Museum wanted for their collection, using money from the Amherst Museum Quilters’ Guild. 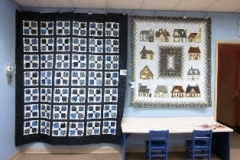 This “dream” has become a reality, with the purchase of several quilts for the Museum, using funds collected from various activities specifically for this purpose. 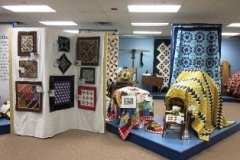 Some of Alice’s Work Displayed at the 2012 AMQG Quilt Show.